Your pet must be vaccinated against rabies in accordance with the recommendation on the vaccine manufacturer’s data sheet. This can be done any time after it has been implanted with a microchip. Before vaccinating your pet, make sure your vet reads its microchip number and enters it on your pet’s vaccination record. An approved inactivated vaccine or recombinant vaccine must be used. The vaccine must be approved in the country of use. From 1 January 2012, there is a wait of 21 days from the date of the first rabies vaccination before a pet can enter or re-enter the UK if you are travelling from an EU or a listed non-EU country. If the vaccine manufacturer’s data sheet requires more than one vaccination to complete the primary course of vaccinations, the 21 day wait applies from the date of the final vaccination of that course. It is important to note that the day of vaccination counts as day 0 not day 1. Ask your vet for advice. A 21 day waiting period is not required for subsequent entries into the UK, provided rabies boosters are kept up to date. 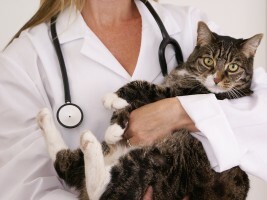 After your pet has been vaccinated, it will need regular booster vaccinations. These must be kept up to date and be given by the “Valid until” date in the relevant section of the EU pet passport or third country official veterinary certificate. Booster vaccinations are valid for entry to the UK and other EU countries from the date given provided they are given on time (according to the instructions in the vaccine manufacturer’s data sheet where the previous vaccination was given). If the revaccination date is missed your animal will not meet the conditions of the scheme and will have to be vaccinated again and have to wait 21 days before it can move under the scheme.